Cedarhurst, NY - January 19, 2015 - Nassau County Executive Edward P. Mangano today announced an aggressive, joint initiative between the Nassau County Police Department (NCPD) and the Metropolitan Transportation Authority (MTA) Police after three new swastikas were discovered at the Long Island Rail Road’s (LIRR) Cedarhurst and Woodmere stations this year. County Executive Mangano also announced a Crime Stoppers reward of up to $5,000 for information leading to an arrest in these cases. 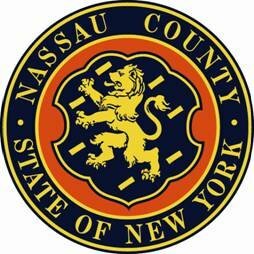 In early 2014, an arrest was made after County Executive Mangano and Crime Stoppers announced a similar initiative and reward after discovering 11 incidents of anti-Semitic graffiti on three Five Towns LIRR station platforms. Police indicate that anti-Semitic graffiti incidents have typically occurred overnight. "Neighbors in our communities have had enough of anti-Semitic graffiti,” said Legislator Howard J. Kopel. “Law enforcement will catch the perpetrator of this hate speech and we'll get this ignorant person off the streets. If you have any information that could lead to the apprehension of those responsible, please contact CrimeStoppers or the MTA Police immediately." "There's no place for any type of hate speech in any corner of Hempstead Town or anywhere else for that matter,” stated Hempstead Town Senior Councilman Anthony J. Santino. “Any neighbor with information leading to the apprehension of those responsible for this repulsive act of prejudice should contact Crime Stoppers or the MTA Police immediately." Repeated incidents such as what has occurred in the Five Towns are unusual. The NCPD is actively engaged in an effort to deter future incidents, as well as to identify and arrest the perpetrator(s). In an effort to partner with the MTA Police, the NCPD has made intelligence-led assets available, including: increased marked cars; uniformed officers; plainclothes detectives; and remotely monitored video surveillance cameras on station platforms. To assist police, Crime Stoppers is asking anyone who can identify the person(s) responsible for these anti-Semitic statements, or anyone with any information about the crime, to call their toll free hotline at 1-800-244-TIPS (8477) or contact the MTA Police Detective Division District #2 directly at 516-222-6501. Refer to PD case #12-14636. Residents do not have to reveal their identity to help solve this crime. Subject: LongIsland.com - Your Name sent you Article details of "Mangano Announces Crime Stoppers Reward For Information Leading To Arrest Of Anti-Semitic Graffiti In Cedarhurst And Woodmere"